"Nobody wants their record to be broken, but I certainly wouldn't want Tiger to be hurt and not able to do it," Nicklaus told Golf Channel. "He's got me shaking in my boots!" 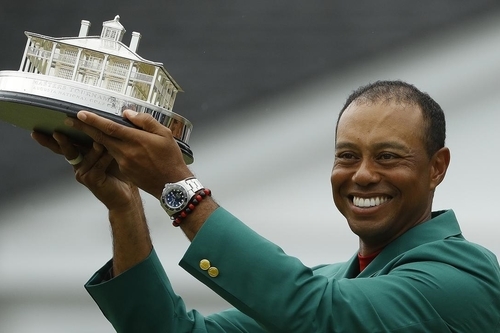 Alhough the odds are still against 43-year-old Woods, who is racing against Father Time as well as a fused spine that could cause more problems, it is no longer inconceivable to imagine him winning three or four majors. "I don't doubt that this is going to be his most special one yet. "To get his 15th after a long wait, after a lot of years away from competitive golf, being in a position where he wasn't sure he was going to play again, it's cool stuff."